Trichy: In a heart-melting story that is indeed going to shut all those mouths that think MBBS is a tough course, comes the tale of a 21-year-old MBBS medico, who is doing a tougher job of studying medicine at a private medical college, while working as a farm worker earning a mere Rs 150 per day in order to support her family. A farmer’s daughter; a sister of a hearing disabled, and moreover an MBBS student studying day and night, this 21-year-old inspirational medico, Kanimozhi, who belongs to the Arunthathiyar community in the area, and is bravely fighting with the toils of life in her journey to become a doctor. TOI has reported about this brave girl, Kanimozhi, who has been fighting against all odds, just to fulfill her dream. Kanimozhi joined the MBBS course in the year 2014 after she secured a government quota seat at the Dhanalakshmi Srinivasan Medical College at Siruvachur, Perambalur. Her annual fee was around Rs 5 lakh, of which she had been paying Rs 2.2 lakh and around Rs 2.8 lakh to Rs 3 lakh was provided as a scholarship for the scheduled castes by the government. But the scholarship is only for 4 years and 6 months, adds the daily. Her proud father, P Pichaimani, 45, who is a farmer at Veppanthattai in Permabalur, has left no stone unturned in order to support her daughter’s precious dream of medicine. He said that he had mortgaged all he could to pay Rs 8,80,000 as fees so far and now has nothing left to pay for her education. “I was a daily-wage worker in Dubai for a few years, but after suffering an accident I returned home and have been farming in a one-acre land. I sold my wife’s jewellery and mortgaged my farming land to pay Kanimozhi’s fees. 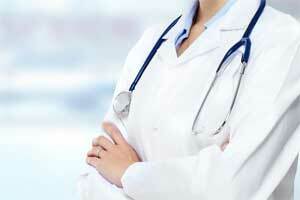 My only dream is to make sure my daughter finishes her MBBS course,” he added. To make their daily ends meet, apart from studying for MBBS, she works on agricultural fields on weekends for a meager Rs 150 a day and support her family. “Along with my mother, I go to farms and do work like weed removal. Our family has been struggling with poverty and meeting the medical expenses of my sister, who has a hearing impairment,” she shared. While talking to the Times of India about her journey and the battle that she is fighting each and every day to get her MBBS degree, Kanimozhi shared that she might have to discontinue her studies in the final year of her MBBS course if she is not able to pay the fees. Meanwhile, certain college sources informed TOI that the due date for Kanimozhi to pay the pending fee for her MBBS course was in February this year. However, they added that knowing her situation, at no point did they compel her to pay the fee or ask her not to attend classes. “We always understand when a student is struggling financially. She’s regularly coming to college. If she had brought up the issue straight to us, we would’ve seen what could be done,” the source added. I really appreciate your comment kashish. Everybody has to know the plight of poors of general category. They are not eligible to get such scholarships. Did u read the article properly ..She is not from the genral category …This is the way people from resrved community and people like u try to make issues and grab the \”resources\”which actually should belong to all. Half knowledge, half presence of mind and killing fields (OT Theatres)called hospitals have become the order of the day …. What was the necessity to do MBBS when millions of general category people are not able to and have iven up the hope of becoming a Doctot and have become clercks and other workers.. for a minority and resrved community person it is a news but for those millions it is not a news !!! Remember she got nearly 2.8-3 lakhs give by the Govt as a scholarship for SC/STs… In the wester countries it is very common and in India only it becomes news particularly if a person from minority community or a foolish person like this Girldoespersue Medical field… She cannot plan her own studies and what she wil plan for the Surgey(after giving anaesthesia)…only God knows.!!! It won\’t be a surprise from this day of Vinayaka chathurthi 2018 ifDOCTORS existence and working is not byALL INDIA MEDICAL SERVICES inIndia street beggars be only doctors before crooked politicians doing all antisocial doings.